I did warn you that we had more bad movies to go this month right? I decided that today would be a good day to watch another one of the questionable ones. It turns out that my instincts were right about this one. The good news is that this movie wasn't just bad, it was awesomely bad. "Foreign tourists, particularly those from the United States and the United Kingdom, often experience culture shock when encountering the character, as dressing in blackface is a social taboo in these and other countries." As long as you are not too offended from that then the movie has some pretty funny moments. The zombies, however, were not that interesting. 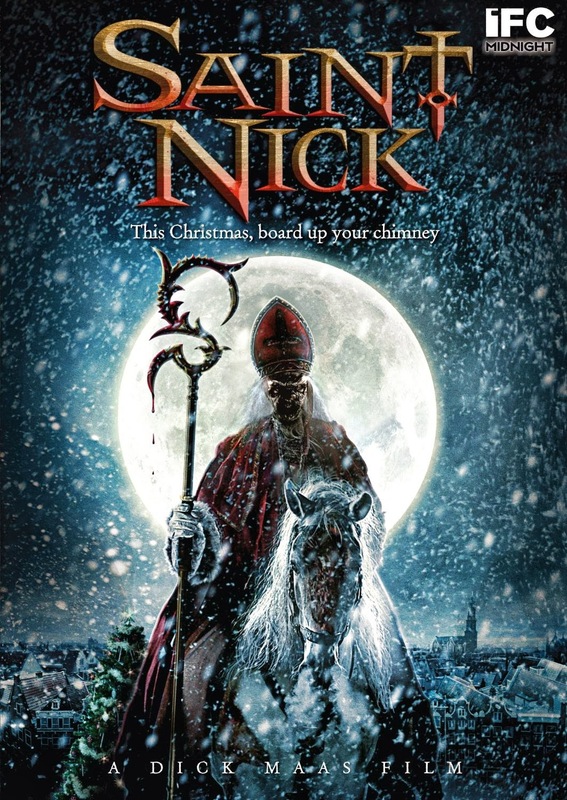 The zombie was Saint Nick himself and his horde of Zwarte Piets. The movie never gave you much time to look at them and really didn't cover much about the actual zombieness that they had. To me, they were almost closer to ghosts since they reappeared every so many years. One of the things I did like about the movie was the cover up at the end. That is always a good thing when the zombies don't end up killing everyone or causing the end of the world. It is just too bad that the monsters are closer to ghosts than zombies and that it had so much taboo stuff in it. Otherwise I would recommend it for everyone. As it stands, I give it a 3/5 with a strong caution to know what you are getting into. 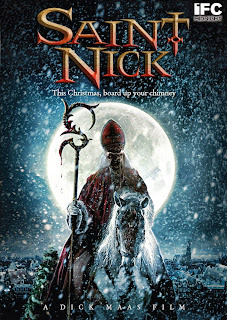 - Creation: Saint Nick and his men killed during a full moon on Dec 5th. It is crazy to me that we are on day 19 already in our month of #undeadOctober. I am really surprised at how fast the month is flying by. Keep checking back for more updates as we watch some more crazy zombie movies!